Otto Warmbier, a US college student who was released last week from North Korea in a coma after a 16-month detention, died Monday, prompting condemnation from the leaders of South Korea and the US and further darkening the atmosphere surrounding their upcoming summit. The 22-year-old had been treated for “severe brain damage” at the University of Cincinnati Medical Center in his home state of Ohio since his return. His family did not specify the cause of death but said he had been “unable to speak, see and react to verbal commands,” blaming North Korea for the tragedy. “Unfortunately, the awful torturous mistreatment our son received at the hands of the North Koreans ensured that no other outcome was possible beyond the sad one we experienced today,” the Warmbiers said in a statement released by the hospital. “There is nothing more tragic for a parent than to lose a child in the prime of life. Our thoughts and prayers are with Otto’s family and friends, and all who loved him,” he said in a statement. President Moon Jae-in sent a condolence message to the bereaved family on Tuesday, Cheong Wa Dae said, urging a swift repatriation of all detainees in the North. Currently 10 foreign nationals are being held captive there, including six South Koreans, three Americans and a Canadian, according to the Unification Ministry here. Foreign Minister Kang Kyung-wha also plans to offer condolences during a phone call with Tillerson, the ministry said. “The president said it is extremely deplorable that North Korea does not respect human rights,” presidential spokesperson Park Soo-hyun said at a press briefing, taking issue with Pyongyang’s alleged failure to immediately inform his family about his condition and provide the best treatment possible. Warmbier’s death is also expected to darken the mood for the first summit between Moon and Trump, slated for June 29-30 in Washington, adding to unabated controversy over their perceived differences such as on North Korea’s nuclear program and a US missile shield. His shocking return has riled the US public, fueling calls for a travel ban and tighter sanctions against Pyongyang, which has a track record of jailing Americans as a bargaining chip. “North Korea took a healthy young man with a bright future as a convenient political bargaining chip, prosecuted him on trumped up charges in a kangaroo court, and then somehow killed him in custody. In doing so, North Korea again reaffirmed its position as one of the worst human rights abusing governments in the world,” said Phil Robertson, deputy Asia director at Human Rights Watch. With the US and China set for diplomatic and security dialogue later this week, tougher sanctions would be high on their agenda, said Susan Thornton, acting assistant secretary of state for East Asian and Pacific affairs, expressing hopes that the other three Americans are released. In Washington, a bipartisan bill was proposed in May, designed to ban American tourists from visiting the North and to mandate non-tourists to secure a special license. The Moon administration, in contrast, set its sights on a thaw with the unruly neighbor, having made its first dialogue offer last week and sought to restart humanitarian assistance. 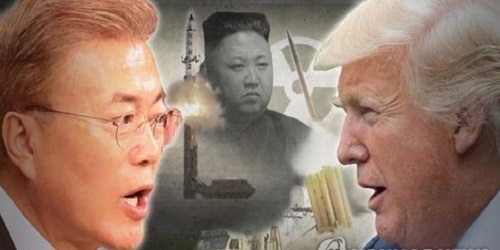 David Straub, a former State Department Korea expert who currently serves as the Sejong-LS Fellow at the Sejong Institute in Seoul, said the situation could worsen if the North does not free the remaining hostages soon, pointing to the spread of “great anger” in the US. 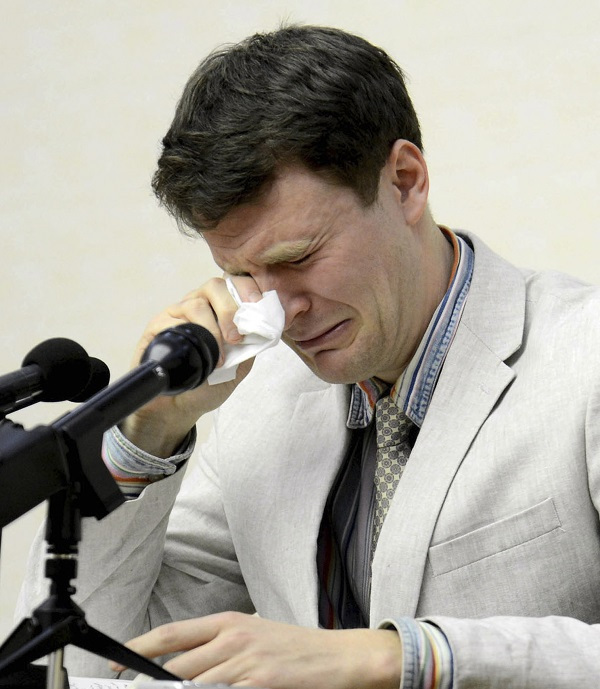 “The North Koreans’ actions in regard to (Warmbier) have only reaffirmed for most Americans their image of the country as brutal and fundamentally dishonest,” he told The Korea Herald via email. However, Van Jackson, a professor in international relations at Victoria University of Wellington, warned against “politicizing” Warmbier’s death as a “convenient excuse” to impose a tour ban, which may limit necessary civilian exchanges and relief work. “I think US citizens should be free to travel anywhere they wish, but anyone with a basic understanding of North Korea would know that visiting the North for ‘tourist’ reasons is dangerous,” he said in an email interview.